Thermography in Sterling by Holistic Family Health. Pain-free, no contact, no radiation. 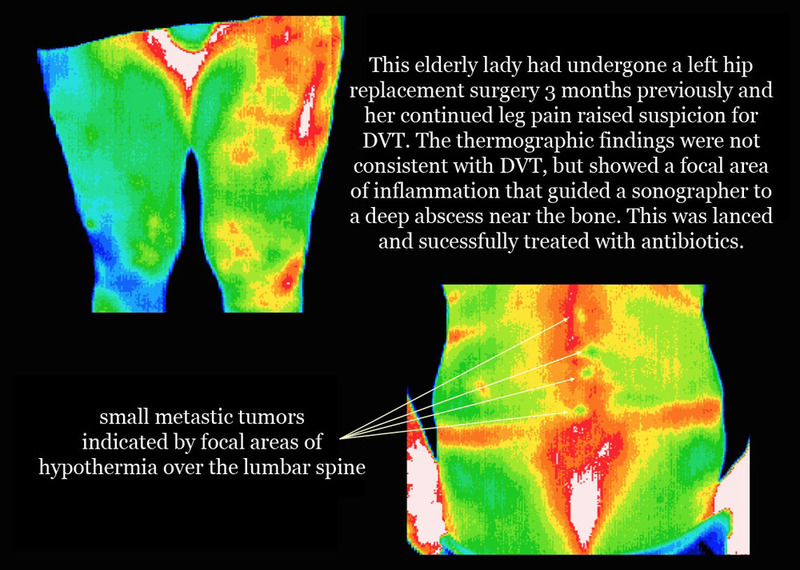 Thermography can show changes in tissues before it becomes a tumor. Thermography can show changes in the skin tissue before it becomes a tumor. Sherri Hudson, of Holistic Family Health in Herndon, Virginia gives a brief introduction. Holistic Family Health provides Thermography for the Sterling community at our clinic. Thermography is a valuable tool in early detection and monitoring of a number of diseases and conditions. We offer full body, half body, region of interest, and breast scans. Thermography is a noninvasive, no contact, no radiation, pain-free clinical imaging procedure showing the thermal abnormalities in our body. 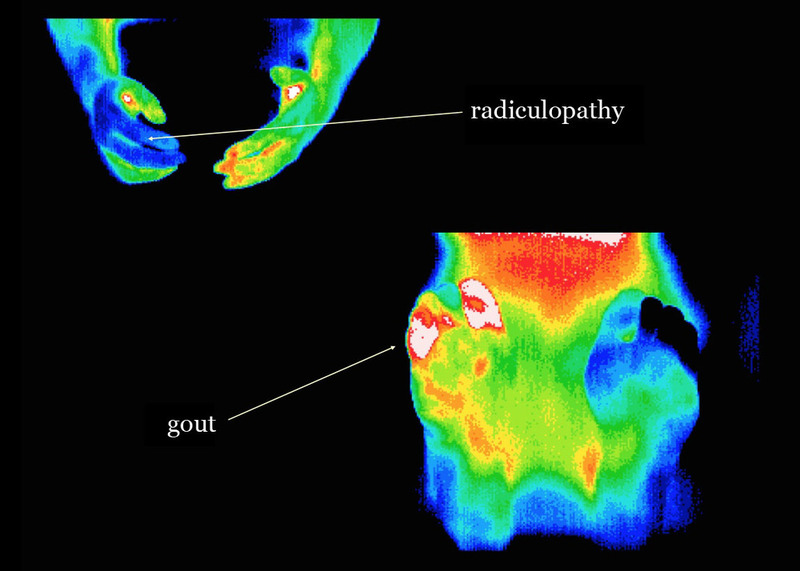 How does thermography compare to other tests, such as x-rays, CT scans, ultrasound and MRI? Thermography can show physiological change and metabolic processes. It has also proven to be a useful complementary procedure to other diagnostic tests such as mammography. Thermography can identify patients at the highest risk and actually increase the effective usage of mammography imaging procedures. Thermography gives you the opportunity to detect breast disease, without radiation, 5-8 years earlier than has been possible through breast self exam, doctor exam or mammography alone. Thermography is one of the only medical procedures to detect inflammation breast cancer. It detects the subtle physiologic changes that accompany breast pathology whether it is cancer, fibrocystic disease, an infection or a vascular disease. One of the most important messages I convey when making presentations at networking groups in Sterling is that all women can benefit from thermography breast screening. It is especially appropriate for women in the age range of 30 to 50. Denser breast tissue makes it more difficult for mammography to be effective. Some women are unable to undergo routine mammography. A thermography scan can provide a ‘clinical marker’ for the doctor or mammographer, letting them know that a specific area of the breast needs closer examination. It takes years for a tumor to grow. Early indications of abnormality allow for early possible treatment and intervention. Our clinic is conveniently located only 15 minutes from the Sterling area of Northern Virginia. From Sterling, take VA-28 S to VA-606 E. Turn left onto Elden St and right onto Carlisle Dr.
Do not have physical therapy, a massage or electromyography on the day of your scan. Do not smoke for 2 hours before your scan. Do not use lotion, deodorants or liniments on the day of your scan. Stay out of strong sunlight on the day of scan. You will remove all jewelry and clothes from the part of the body being scanned and will be asked to wear a medical gown (for full body scans, underwear is left on). 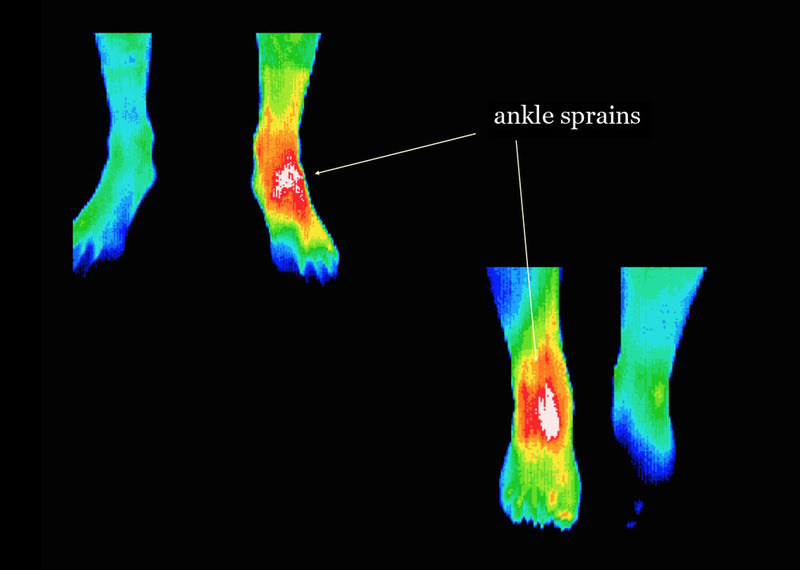 Once you are ready, the Certified Clinical Thermographer comes back in the room and takes your necessary images by utilizing a computer and positioning the mobile camera, which never comes in contact with your body, while directing the standard positions you will be in while sitting and standing. An example of a standard position is sitting on a chair with your arms by your side. We see many patients who have regular trouble sitting and/or standing. We do our best to accommodate. All thermography interpretations will be reported by adequately trained and experienced doctors (MDs) who hold board certification as Thermologists. After your thermography scan, your thermograms and intake information is electronically sent to a Thermologist for interpretation and reporting. They have 2 business days to electronically return the report to our office. Our office will then email you and your doctor, if you provided their email on your intake form, your report and thermograms in PDF format within 1 business day. Results obtained with medical DITI systems are objective and show excellent correlation with other diagnostic tests. All of your thermograms are kept on record for 7 years and once your stable thermal pattern has been established any changes can be detected during your routine annual studies. A subsequent session assures that the patterns remain unchanged. If you are a female and this was your first scan then you should come back in three months for just a breast scan to establish an accurate and stable baseline. Everyone else should come back annually, unless specified by a Thermologist. Why do I need to come back in 3 months exactly? The reason a three-month interval is used relates to the period of time it takes for blood vessels to show change. A period of time less than three months may miss significant change. A period of time much more than three months can miss significant change that may have already taken place. There is no substitute for establishing an accurate baseline. Your initial scan is only being compared to what a normal body's thermal symmetries should be. Your annual scan is being compared to what a normal body's thermal symmetries should be, your past scans, and your accurately establish baseline created by your 3 month follow up. In simpler terms, this is to make sure there are no rapid changes even if there wasn't anything of concern in your initial scan. If there are no rapid changes then your stable baseline has been established and we will see you in a year (from your initial scan)!